Since our founding in 1982, Sentra-Sota Sheet Metal has acquired a well-trained, experienced employee base that can assist you in a wide variety projects including: HVAC, Architectural Metals and Custom Sheet Metal. 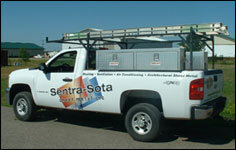 Sentra-Sota Sheet Metal, Inc. is dedicated to producing quality metal fabrications with craftsmanship second to none. We strongly believe that by integrating the latest technology into our services we can provide our customers with the best possible results. 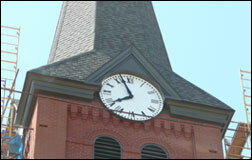 Competitive price, quality and timely turnaround are key to our reputation and success. All Sentra-Sota employees are subject to routine safety and installation training. They are regularly introduced to new and improved methods of practice. This is in an attempt to provide our customers with the utmost quality, in a safe and cost effective manner. Quality and craftsmanship, together with the commitment to stand behind our work, is our approach to customer satisfaction. 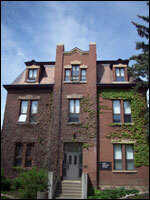 This is the foundation of our success and will continue to insure our success now and into the future. © 2019 Sentra Sota Sheet Metal, Inc. All rights reserved.